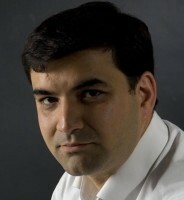 GORDON CORERA has been a BBC Security Correspondent since 2004, and is an expert on cyber security, intelligence issues and the use that terrorists make of computing. He has written and presented many ground-breaking documentaries uncovering the work of intelligence agencies around the world. After graduating from St Peter’s College Oxford and as a Frank Knox fellow from Harvard, he authored many publications including “The Art of Betrayal: Life and Death in the British Secret Service”, and “Shopping for Bombs, the Rise and Fall of the AQ Khan Network”. The background to his book “Intercept: the Secret History of Computers and Spies” will form the basis of his talk. Elsewhere, Gordon Corera was the presenter of the BBC Radio 4 documentary series MI6: A Century in the Shadows.